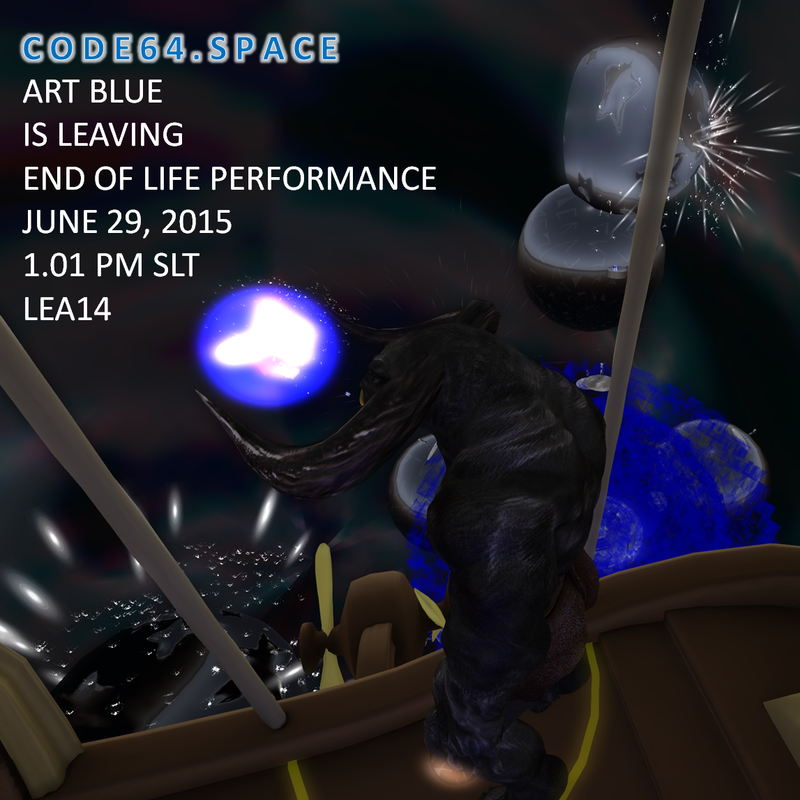 To celebrate the end of the land grant for The MOONREZZER Art Blue has created a theatrical play CODE64 in SPACE which stands for the end of life in the simulator. We will travel back in time and forward into the future seeking for life. To get an idea about the play you may read in http://issuu.com/artblue/docs/code64_in_space or take the booklet inworld when you arrive.